Consumers Union, the policy and advocacy division of Consumer Reports, respectfully requests that AT&T take more aggressive steps to end unwanted robocalls. 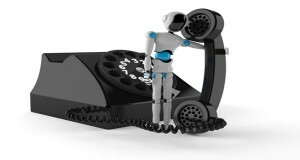 We request that you offer your customers free tools that effectively block robocalls. Many of our supporters have even fallen victim to scams as a result of telemarketing robocalls, and phone scams cost Americans an estimated $350 million in 2011. Consumers registered more than three million complaints with the Federal Trade Commission (FTC) last year about Do Not Call violations. It is time for AT&T to provide free, effective solutions to this problem immediately, so that unwanted robocalls are stopped before they reach us.